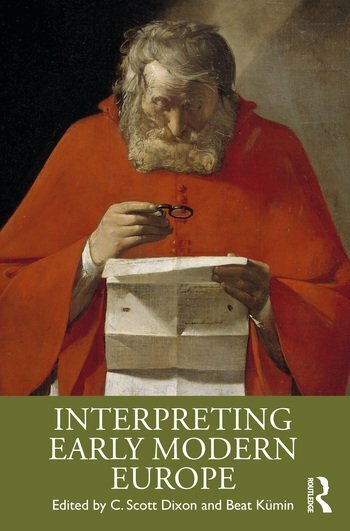 Interpreting Early Modern Europe is a comprehensive collection of essays on the historiography of the early modern period (circa 1450-1800). Concerned with the principles, priorities, theories, and narratives behind the writing of early modern history, the book places particular emphasis on developments in recent scholarship. Each chapter, written by a prominent historian caught up in the debates, is devoted to the varieties of interpretation relating to a specific theme or field considered integral to understanding the age, providing readers with a ‘behind-the-scenes’ look at how historians have worked, and still work, within these fields. At one level the emphasis is historiographical, with the essays engaged in a direct dialogue with the influential theories, methods, assumptions, and conclusions in each of the fields. At another level the contributions emphasise the historical dimensions of interpretation, providing readers with surveys of the component parts that make up the modern narratives. Supported by extensive bibliographies, primary materials, and appendices with extracts from key secondary debates, Interpreting Early Modern Europe provides a systematic exploration of how historians have shaped the study of the early modern past. It is essential reading for students of early modern history. C. Scott Dixon is Senior Lecturer at Queen’s University Belfast. His previous books include Protestants: A History from Wittenberg to Pennsylvania, 1517-1740 (2010), Contesting the Reformation (2012), and The Church in the Early Modern Age (2016). Beat Kümin is Professor of Early Modern European History at the University of Warwick, U.K. Publications include Drinking Matters: Public Houses and Social Exchange in Early Modern Central Europe (2007), Imperial Villages (2019) and the edited collection The European World 1500-1800: An Introduction to Early Modern History (3rd edn, 2018).